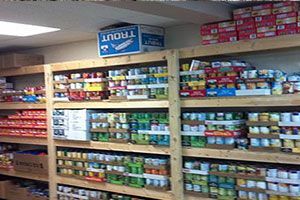 We have listed all of the Cushing food pantries that we have found. With help from users like you we have compiled a list of some. If you know of a food pantry that is not included here, please submit new food pantries to our database by going to the ADD A LISTING link on the header of our website. The pantry is open on the 2nd and 4th TUESDAY of each month from 9:00 to 10:30a.m. It serves Cushing and Agra only. Provides a food pantry. Serves Cushing, OK If you need food in Cushing please call Love INC at 918-225-1125. You must call. There are no walk in food pantry options available. No walk-ins please. Leave a message. We will return your call as soon as possible.